Simple to use. Dispense your soft serve ice cream directly into the serving cup. Attach the lid to the cup, add the desired mix-ins, blend and serve. Clean up is easy. The splash guard moves easily, and the sealed stainless steel housing wipes down quickly. Blending the mix-ins with your soft serve ice cream is quick and easy. 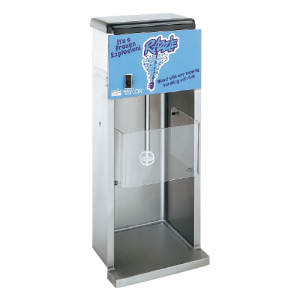 A separate agitator is available for hand dipped ice cream. Blender operation is quiet. Brushless, ball bearing induction motor provides consistent product mixing. 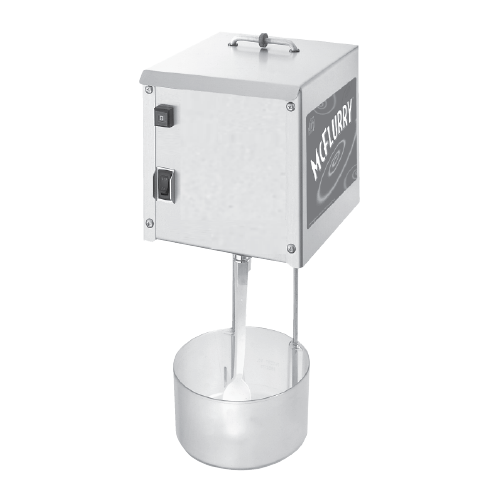 Blender is available as BC10 to sit on the counter, or BW11 to mount on the wall or soft serve freezer (mounting bracket and drip tray are included). Guarded foot control for hands-free operation of blender.